We have released a magazine style WordPress News theme for many days, and this magazine WordPress theme was downloaded more than 100 times in 10 days, because this is a Google Adsense ready WordPress theme, one of our clients changed his sites theme to our news theme, he got more clicks after he changed the theme! The previous click rate was 1.5% on average, after using the news theme, the click rate is 5.6%, that’s really amazing! He get 1289 clicks more! Yes, you can get more clicks if you use a proper theme! If you own some content rich websites and get revenue from advertisement, why not try our the latest news themes? 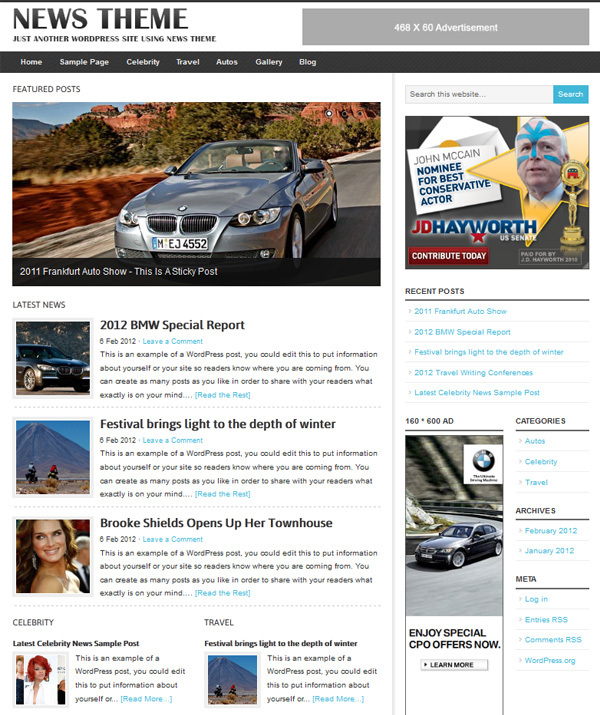 Grab the WordPress News Theme here.